The city of Bristol, located in Hartford County, is in central Connecticut and has several distinct sections within its boundaries, including Forestville and Edgewood. Originally an agricultural village called New Cambridge, the town was incorporated in 1785 and given the name Bristol. In the mid-19th century, the town flourished with the rise of manufacturing companies like J.H. Sessions and Son and Ingraham Clocks. It incorporated as a city in 1911. 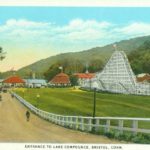 Today, Bristol is mostly residential and best known as the home of ESPN, the American Clock & Watch Museum, and Lake Compounce, America’s oldest operating theme park. “Bristol History Room.” Bristol Public Library, 2017. Link. 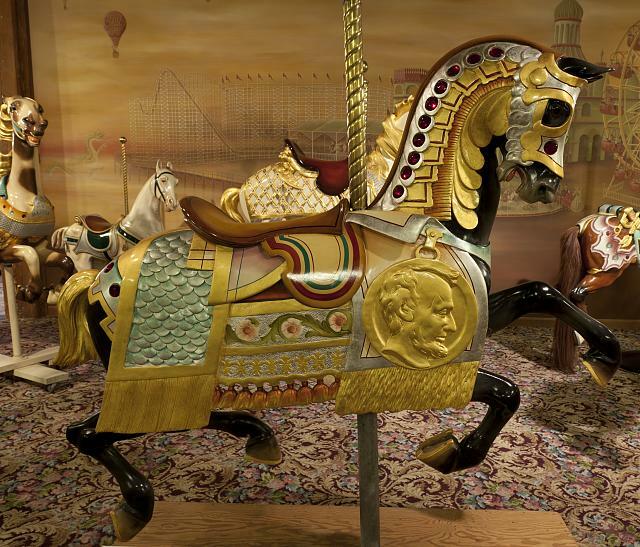 “The Carousel Museum,” 2017. Link. “Bird’s Eye View of Bristol, Conn.” Bird’s-eye Map. New York, NY: Hughes & Bailey, 1907. University of Connecticut Libraries, Map and Geographic Information Center - MAGIC. Link. Norris, George E. “Bristol, Conn. Looking North-East.” Bird’s-eye Map. Brockton, MA: George E. Norris, 1889. University of Connecticut Libraries, Map and Geographic Information Center - MAGIC. Link. “Digitized Historic Newspapers - Bristol Herald (1888-1901).” Google News Archive, 2016. Link. Woodford, E. M. “Map of the Town of Bristol, Hartford County, Conn. from Original Surveys by E.M. Woodford, Surveyor.” Philadelphia, PA: Richard Clark, 1852. Connecticut Historical Society. Link. Leach, Gail. Bristol. Charleston, SC: Arcadia, 2001. Russell, Lynda. Bristol Business and Industry. Charleston, SC: Arcadia, 2010. Smith, Eddy, George Benton Smith, and Allena J. Dates. Bristol, Connecticut: “In the Olden Time New Cambridge”, Which Includes Forestville. Hartford, CT: City Printing Company, 1907. Link. Russell, Lynda. Lake Compounce. Charleston, SC: Arcadia, 2008. Beals, Carleton. Our Yankee Heritage: The Making of Bristol. Bristol, CT: Bristol Public Library Association, 1954. Link.